Tingly, crisp and icy. 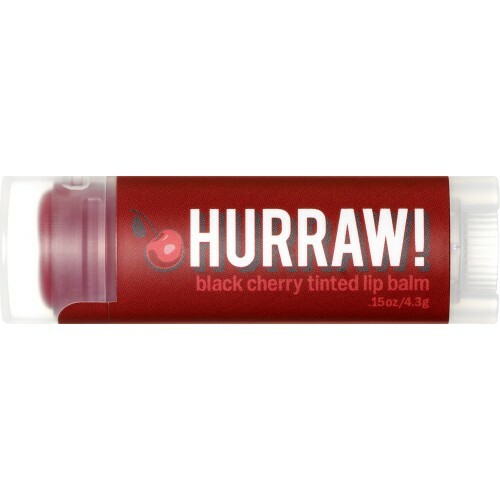 A long-lasting minty treat for your lips! Made with organic peppermint oil from Oregon’s Willamette Valley. A blend of black pepper, cinnamon, clove, anise and vanilla. Spicy divinity! An all-natural organic black cherry flavour makes it... tart and yum! Alkanet root infused almond oil provides the deep red sheer tint of this balm. 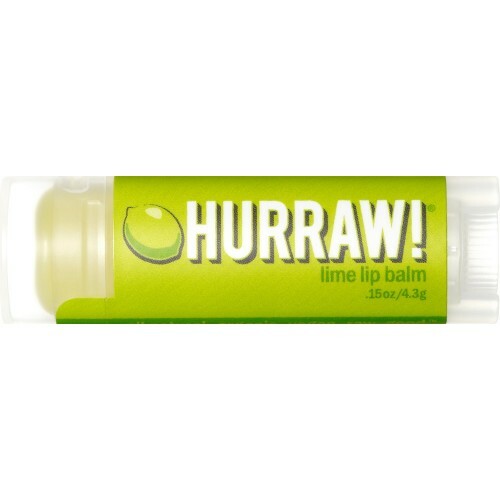 Just like squeezing a lime slice in your favourite summer drink, you will love the zesty zing of Hurraw's lime balm! Made with Persian lime oil for a fresh and uplifting scent. The juicy duo of cold pressed papaya seed oil and natural pineapple flavour makes for a tropical treat! Papaya seed oil is packed with moisturising essential fatty acids and is great for the skin. 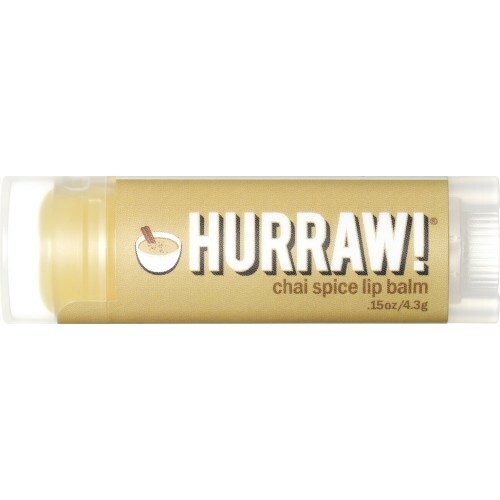 Hurraw infuse raw, organic vanilla beans into this balm, making it the most deliciously smooth treat for your lips. Two different vanilla oils and the tiny vanilla bean seeds that stay behind create a delicate, dreamy vanilla scent. Zesty! Hurraw’s smooth pink grapefruit balm will invigorate your senses. A gorgeous light pink tint leaves a clear gloss on the lips. Made with fresh, cold-pressed oil from grapefruit peel. Alkanna tinctoria (alkanet) infused Prunus amygdalus dulcis (sweet almond) oil, Euphorbia cerifera (candelilla) wax, Cocos nucifera (coconut) oil, Simmondsia chinensis (jojoba) seed oil, Theobroma cacao (cocoa) seed butter, Ricinus communis (castor) seed oil, Olea europaea (olive) fruit oil, organic flavours, Tocopherols (vitamin e). Prunus amygdalus dulcis (sweet almond) oil, Euphorbia cerifera (candelilla) wax, Cocos nucifera (coconut) oil, Simmondsia chinensis (jojoba) seed oil, Theobroma cacao (cocoa) seed butter, Ricinus communis (castor) seed oil, Olea europaea (olive) fruit oil, Citrus auranifolia (lime) peel oil, Tocopherols (vitamin e). Vanilla planifolia (vanilla) bean infused Prunus amygdalus dulcis (sweet almond) oil, Euphorbia cerifera (candelilla) wax, Cocos nucifera (coconut) oil, Simmondsia chinensis (jojoba) seed oil, Theobroma cacao (cocoa) seed butter, Ricinus communis (castor) seed oil, Olea europaea (olive) fruit oil, Vanilla planifolia (vanilla) bean, organic flavours, Tocopherols (vitamin e). Alkanna tinctoria (alkanet) infused Prunus amygdalus dulcis (sweet almond) oil, Euphorbia cerifera (candelilla) wax, Cocos nucifera (coconut) oil, Simmondsia chinensis (jojoba) seed oil, Theobroma cacao (cocoa) seed butter, Ricinus communis (castor) seed oil, Olea europaea (olive) fruit oil, Citrus paradisi (grapefruit) peel oil, Tocopherols (vitamin e).